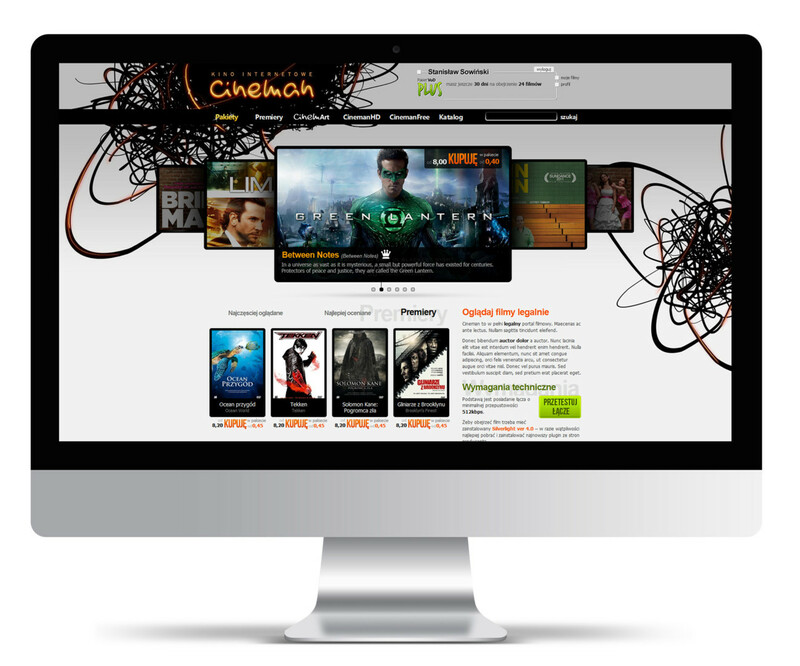 Our task for Cineman was to prepare the graphic design, features and usability of the video platform. In accordance with the customer’s wish, the design style refers to cinema before the era of multiplexes. Atmospheric small rooms, red chairs, a distinctive costumed usher, Marilyn Monroe and ubiquitous neon lights ensure a sentimental journey back in time. In the case of the Cineman project we developed film-displaying technology, provided encoding, encryption and the delivery of licenses, and integration with the payment system (credit card, online transfers and SMS micropayments). We created an extensive administration panel to manage content, users, payments and advertising. As the PlayReady Service Provider, we developed a DRM system that effectively protects against the copying of services.